That being said, it is a popular food, especially in the Kanto region of Japan. It can be found in virtually any supermarket and it is very cheap. It is also commonly found in many hotel’s breakfast buffet menus. Looks and smells gross, but I actually like it. Just make sure put in the sauce that it comes with and mix it really well before you taste it. 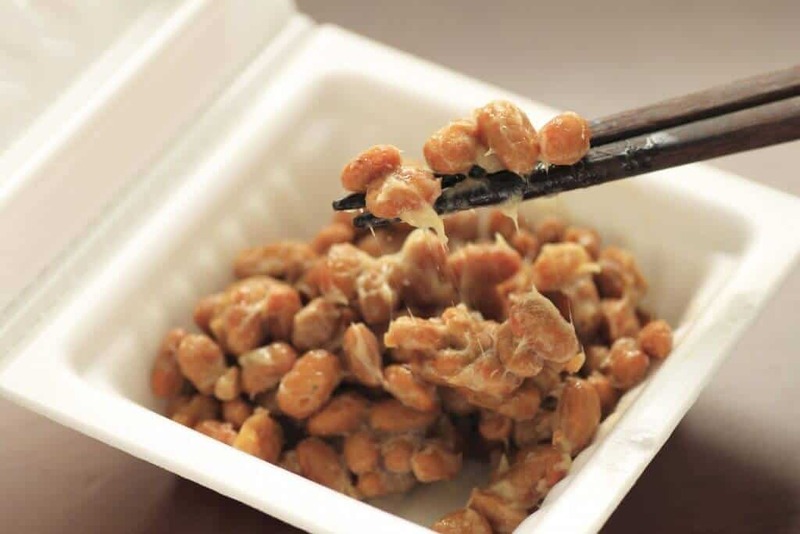 Tasting natto by itself might be too strong for first time eaters. Do you like teriyaki sauce? How about grasshoppers? If you said yes to both, then inago is the perfect dish for you. These little locusts are cooked in a sugar and soy sauce like mixture, and is pretty nasty to look at. I don’t know about you, but I don’t’ want to see a plateful of 200 locusts on my plate when I’m starving. However, it actually tastes okay. No, I’m not gonna shout from the rooftops proclaiming how good it tastes. Nor would I go to the store special just to pick up these bad boys. But it’s not that bad. It definitely tastes much better than it looks. 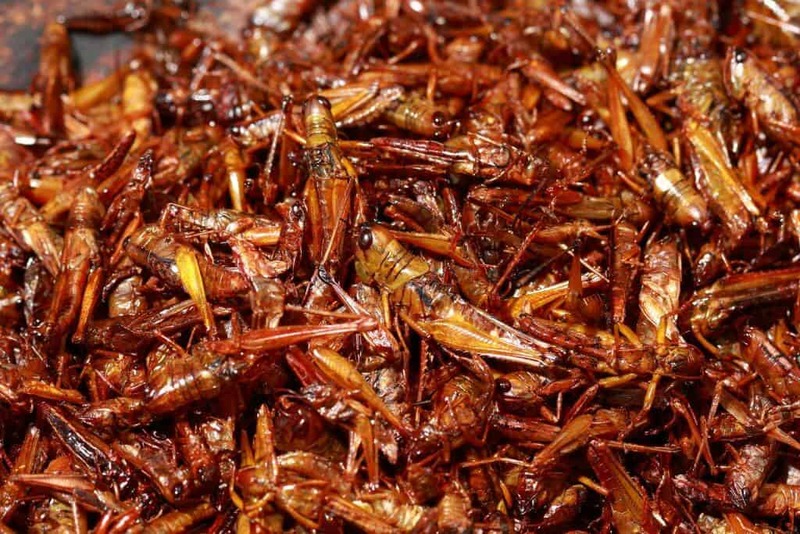 If I opened up my fridge and all that was in there was a week old pizza or these tasty locusts….I would probably still eat the pizza. But if there was nothing else, I just might have a helping of inago. You probably can find this in places like Tokyo, but I saw inago being sold in supermarkets in Nagano prefecture. 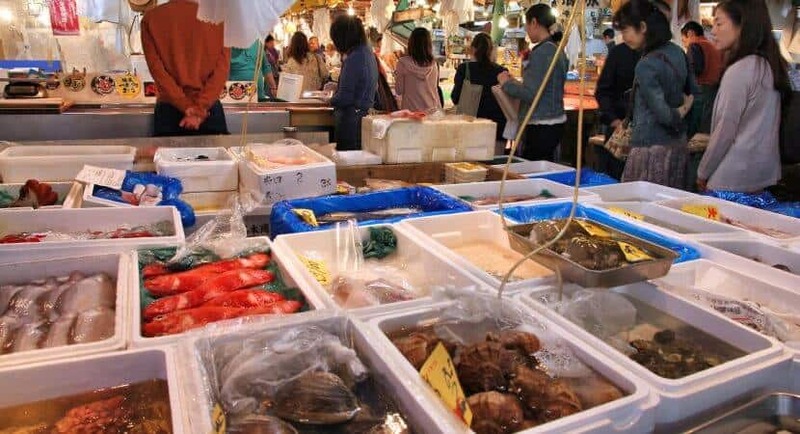 Someone once told me that people in Japan don’t waste any part of a fish. They’ll eat every part of it. The fish guts, fish tails, fish eyes…they’ll eat it all. Shirako is one part of a fish I never thought about. Or in other words, fish sperm. Or is it fish seed? Fish love sauce? I’m not sure but whatever it is, it comes in its own sack. Do fish even have testicles? I don’t know but shirako sure looks like a pair of cajones. There several species of fish sperm that is eaten in Japan, but the most prized is the fish milt from fugu (puffer fish, # 8 on this list). I don’t care for this. Eaten raw or grilled, it tastes a little like cream…not sure if that is good or bad. Although I did “swallow” if you know what I mean. If you want to hear about a personal experience eating shirako for the first time, check out this page (rated R). When someone first told me about this, I thought they were talking about a honeycomb. I was like, “oh yea I never tried that before, but I really want to.” Well come to find out, it’s not a honeycomb (which is hachi no su in Japanese), but the actual bee larvae. This is the only entry on this list that I haven’t tried. But according to some of my Japanese friends who have, they say it’s delicious. Something about those worm-like, squishy, filled with guts creatures turns me off…maybe it’s their color? I’ve seen this in a few restaurants around Japan so keep your eyes open if you’re craving some tasty bee larvae. A long time ago in America, I guess it was legal to eat sea turtles. Many older generation people have told me that turtle is delicious. It’s illegal now, but this freshwater, soft-shelled turtle is still eaten throughout the country. 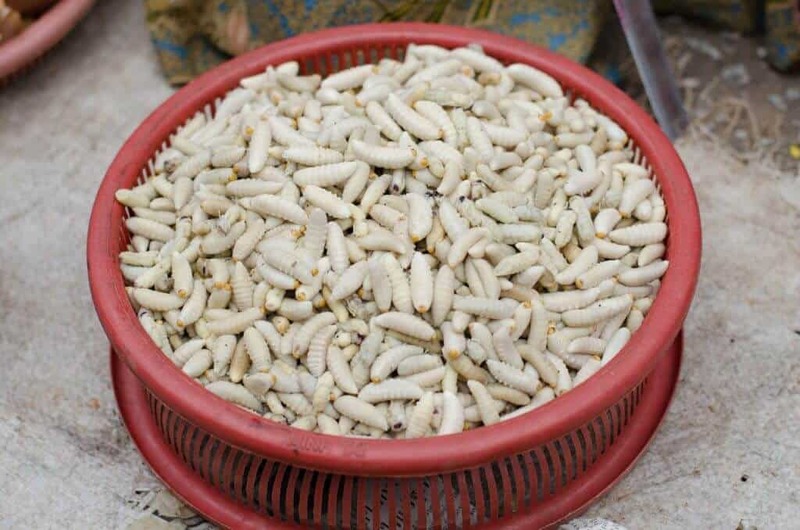 It is considered a delicacy, and has a price tag to match. I’ve had it in a soup dish. It was pretty good, but every bite I took reminded me of that turtle from “Finding Nemo” so I’ll probably pass the next time I see it on the menu. 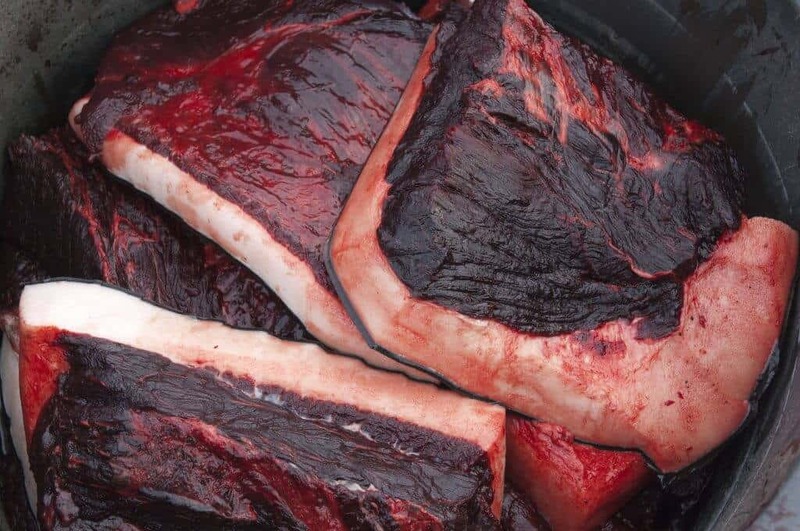 Amazing as it sounds, Japan still eats whales. I have seen whale meet sold in local supermarkets in Japan, and even being served to elementary school students for their lunch. I hate the idea of killing whales for food, but I just knew I had to try it once. My friend and I went to a restaurant and ordered it. It looked like seared tuna. It was raw in the middle but slightly cooked out the outside. It was served like sashimi, with soy sauce and wasabi. I did not care for it at all. Fish sashimi tastes way better in my opinion. So I hope Japan changes its whaling policies and decide to “Free Willy” instead of eating him. Have you ever seen that movie, “Seabiscuit” or that old TV show “Mr. Ed?” Both of them featured a horse as a leading character. Come to Japan and you’ll find out what they do with those horses after their acting careers are over. Yup, you guessed it. 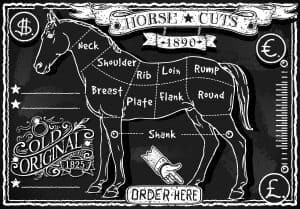 Horse meat. Or more specifically, horse sashimi. Nothing like slices of raw horse meat to get the appetite going. Typically eaten by dipping it in soy sauce and grated garlic. Besides being a little traumatized by eating one my favorite animals, it actually tastes okay. It tasted like beef except for a grassy, herb-like aftertaste. The meat was interesting though. Excluding Kobe beef, basashi is the most marbled cut of meat I have ever seen. I would go to say that I have never seen beef this marbled in the US before. So here’s my question. Have you ever seen an obese horse? Basashi is so marbled that the horse has to be morbidly obese with high cholesterol and diabetes. 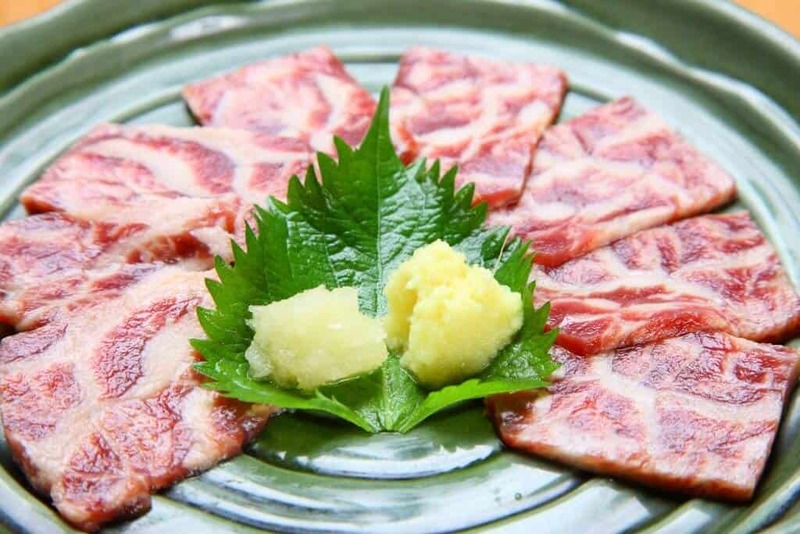 Basashi is found in many restaurants all over Japan, but is a specialty of Kumamoto (where eating raw horse originated in Japan). 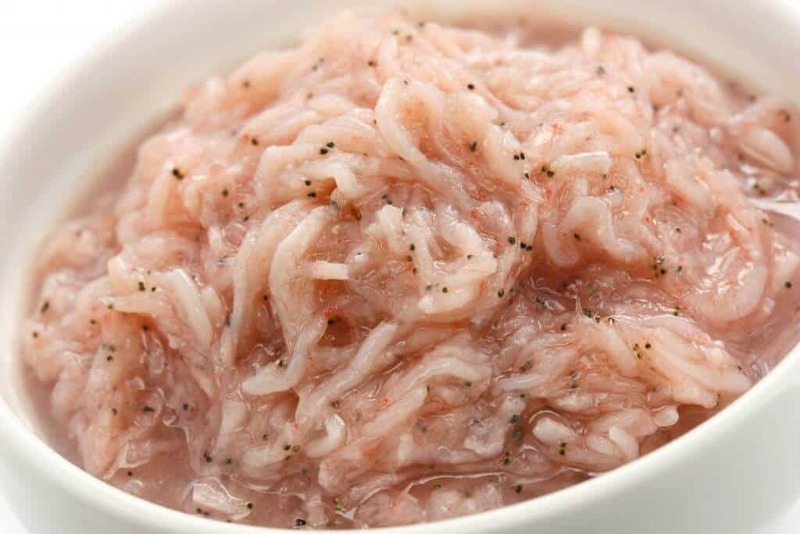 This delicacy is a specialty of Shimonoseki City in Yamaguchi Prefecture. 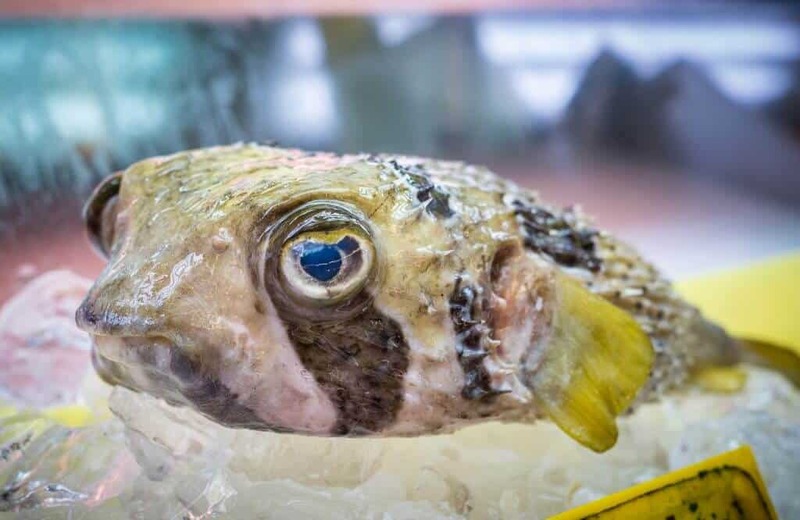 Fugu or Fuku doesn’t have much taste, but it is prized for its wonderful texture. It has a very nice chewiness while being soft at the same time. Almost like thin, soft calamari without the breading. However, it is also known for its poison, which you need to have a license to be able to prepare it. Even with skilled chefs preparing fugu, there are still a few deaths a year. However, most of these deaths are from fisherman who catch and prepare their own fugu. There is no antidote for the deadly tetrodotoxin that the fugu carries. So when I first tried it, I was extremely paranoid. After I ate it, I kept licking my lips to see if they were going numb. But since then, I have tried fugu numerous times. I’ve had the meat raw, fried, stewed, in shabu-shabu, the skin, and even shirako (#3 on this list). Give it a try if you want to be a little more daring with your food choices. As an American, eating raw chicken is pretty much the same as playing a game of Russian roulette. Someone is gonna die. You don’t know who, but you know someone is gonna die. Raw chicken is a salmonella grenade, just waiting to go off for anyone stupid enough to pull the pin. I never imagined I would be that guy who pulled the pin. I was with someone who tried to order a chicken dish in an izakaya in Japan. He asked the waitress for her recommendations for a chicken dish. She said something in Japanese that he probably didn’t understand completely, but said yes to it anyway. And 10 minutes later, we were served a plate of raw chicken slices with a dipping sauce. Now an izakaya is usually not a classy place. Most izakayas are filled with loud, drunk people, cigarette smoke, and simple, cheap food. So when I’m served something raw, I can’t help but to think that this place probably doesn’t have the best quality food products. The person I was with absolutely refused to eat any of it. I understood. But there was a whole plate of chicken, and I really hate wasting food. Plus I looked over to the table next to us and a group of salary men who were eating the same dish. So I decided to pull the pin on that salmonella grenade. It was actually pretty good. It had a good texture and it tasted fresh. Apparently that grenade was a dud, because I walked away with no injuries (or explosive diarrhea). In addition to some izakayas, you might be able to find raw chicken dishes in some yakitori places as well. If that doesn’t make you hungry I don’t know what would. Let me simplify that definition. 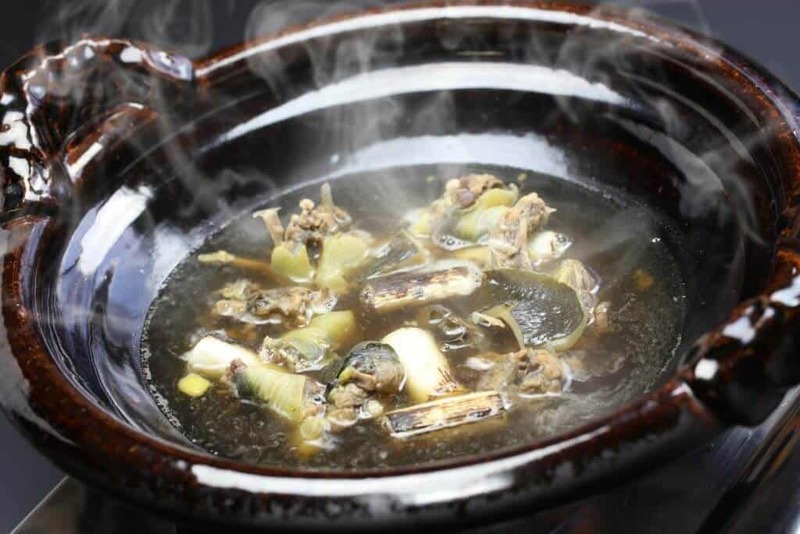 Shiokara is basically squid or fish marinating in its own guts. Yum! There are a few types of shiokara, but the most common one is made from squid. As gross as it sounds, it actually is pretty good. Kind of like anchovies. It does have that strong seafood taste and texture, but it’s not as bad as you would imagine. It goes good with beer (then again, what doesn’t match well with beer?). Have you ever tried any gross or weird foods? Drop a comment down below to tell us what was the weirdest food you ever had! I ate Kujira (Whale) sashimi many times when I lived in Tokyo years ago. The picture above looked like blubber only, the best sashimi is very lean and is served partially frozen. Dipped in soy sauce and wasabi it is both delicious and refreshing on a hot summer day. I might forgo this pleasure if I ever return to Japan though, the possible heavy metal contamination would scare me away from it. I have eaten Opihi raw in Hawaii. I did not like it. Opihi does take some getting used to…even if you like other shellfish like scallops, clams, and oysters. Grilling the opihi and them eating them with ponzu sauce helps, but yea…I’m not a fan of it either.